A few days ago, a WordPress user new to the Genesis Framework asked me whether it is possible to display tailored secondary menus on specific pages. 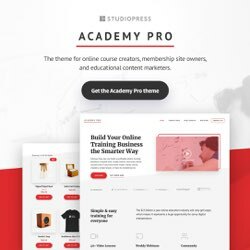 All pages on the website should get the same primary menu and – besides a few exceptions – the same secondary navigation menu. The exceptions should get their own specific, secondary menu. In this post I am going to show you how this can be done by applying conditional tags. Since I am not a trained coder, I prefer to use a tool to achieve this goal. The tool that I will be using in this case is the Genesis Extender. For the remaining part of this post, I will assume that you have already installed and activated this nifty plugin. For more details about the Genesis Extender, please refer to this review. For this example I have installed the Genesis Extender with the StudioPress Sample theme. 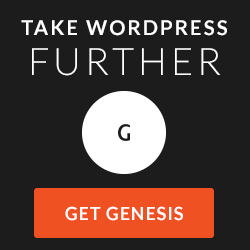 This theme is freely available with the Genesis Framework, so that every Genesis user is able to follow along. However, you can apply the Genesis Extender with any Genesis child theme – except for the Dynamik Website Builder. The Dynamik is a child theme and framework to create your own Genesis child theme that incorporates the same functionality concerning conditional tags. Conditional tags are functions that let you control what content is displayed in a particular situation. The Conditional Tag Index of WordPress includes 37 of those conditions. 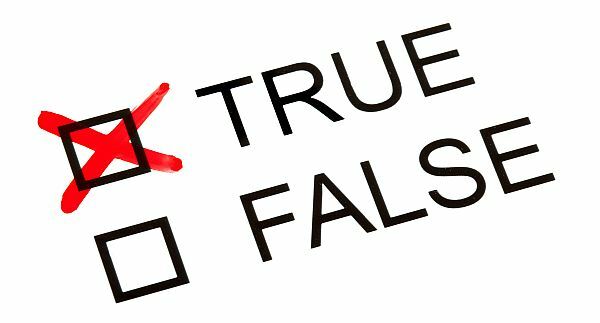 A condition is either TRUE or FALSE. With a conditional tag, it is for example possible to display a widget area only in a certain situation; namely when the condition is met. An example of a conditional tag is “is_home()”. With this function you check whether a page is the homepage. And a much used application of is_home() is that when the page is indeed the homepage you want to display the homepage slider. Basically you can multiply the number of available conditional tags, since you can also negate a conditional tag. A widget area is only displayed when one or more conditions are not met. In our example of conditional navigation menus, we are going to use “is_page()” and “! is_page(). Or more verbose; is page and is NOT page. pages – some of these pages will get a tailored secondary navigation, while the remaining pages will get the regular secondary menu. We have seven pages altogether. All pages are going to get the same primary navigation. The pages titled Red, Green, and Blue will have their own custom secondary menu, while the remaining four pages will have the ordinary secondary menu. For the Primary Navigation we will be using the wilwebs.com categories. 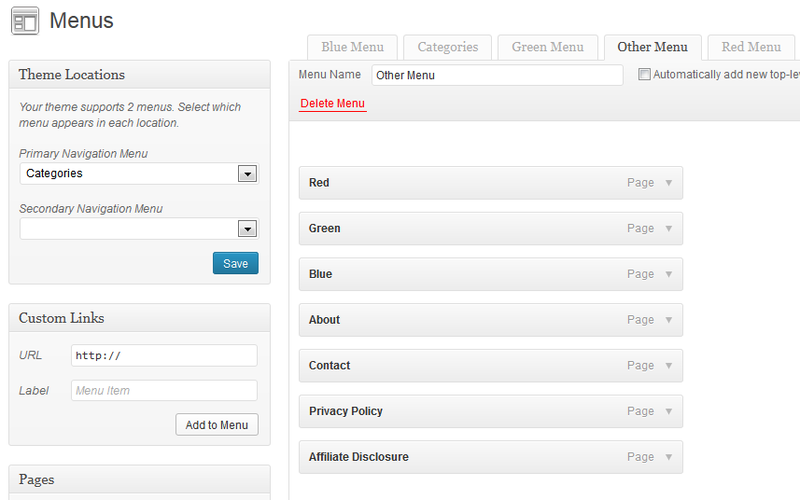 The Other Menu contains links to all seven pages listed above and can be considered as the default secondary menu. 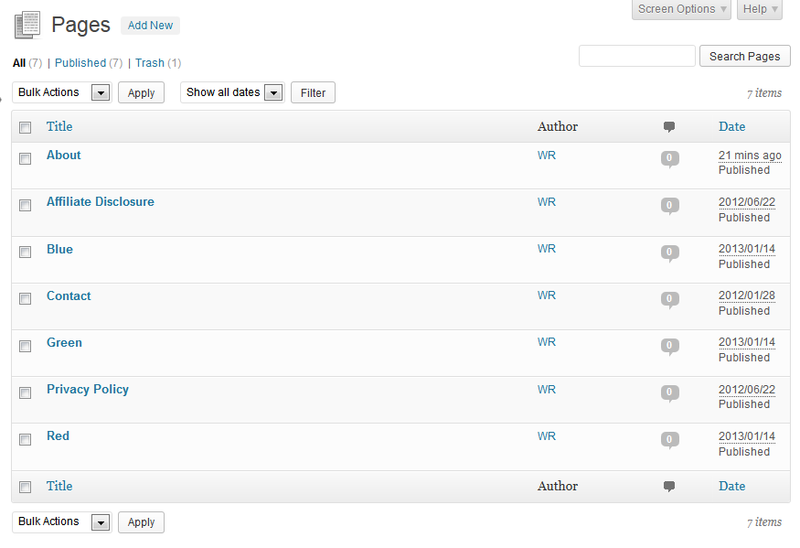 All we have been doing so far is pretty usual WordPress administration stuff. The Genesis Extender plugin adds two pages to the Genesis panel. In order to create our conditionals, we have to turn to the Conditionals tab of Extender Custom page. The pull down-menu Examples shows a couple of conditionals tags. The WordPress Codex lists conditional tags. What is this? The conditional named “red_page” contains the tag “is_page(‘Red’)”, meaning it will only be applied to the page titled “Red”. That is it! The conditionals green_page and blue_page are using the same tag, but will apply to the page titled Green respectively Blue. The tag of the conditional named “not_rgb_page” is a little bit different. First of all, we see an exclamation mark (!) in front of the tag. This negates the condition. So we have to read this as “is NOT page”, hence: is not the Red, Green or Blue page. Second, instead of the page titles, I have used the IDs of the pages regarding. You can also use the slugs. Titles and slugs are alphanumeric and therefore need to be placed within quotation marks. Digits are numeric and do not get quotations marks. Third, since the tag applies to a series of IDs respectively page titles, we have to put those variables in an array. When you prefer the titles instead of IDs, you can also use “! 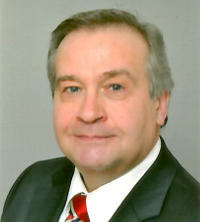 is_page(array ( ‘Red’, ‘Green’, ‘Blue’ ))”. That is all. Creating the conditionals is actually the hardest part of creating the conditional menus. Now that we have our conditionals, we can create the necessary widget areas, where we will add our custom menus. We continue with the Widget Area section of the Extender Custom page. In the screenshot above, you will notice that I have named the widget areas in line with the page titles where these will be displayed: bluepage, greenpage, otherpage, and redpage. The widget areas on the Red, Green and Blue page will appear after the header, since I have used the genesis_after_header hook. To show you the ease and flexibility of Genesis and the Genesis Extender, I have used the genesis_before_header hook for the navigation menu on the other pages. When you click on the Conditional Selected dropdown menu, you are presented a list with the conditionals created earlier. Assigning a conditional is a matter of checking the box in front of the name of the conditional. The number in front of the Conditional Selected tells you how many conditionals have been applied. When you have created three separate NOT conditionals – one for each of the Red, Green, and Blue page – you would have selected all three conditionals for the otherpage widget area. Now that we have our pages, our menus, our conditionals, and our widget areas, we are ready to add the Custom Menu widgets to the widget areas. 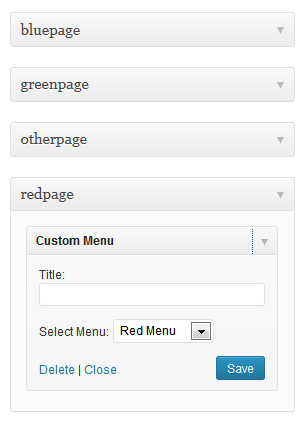 When you visit the Widgets page (Appearance >> Widgets), you will notice four fresh created widget areas: bluepage, greenpage, otherpage, and redpage. All we have to do is add a Custom Menu widget to these four widget areas and select the appropriate navigation: Blue Menu, Green Menu, Other Menu, and Red Menu. Leave the Title blanc. That is all, Folks! Please do not hesitate to leave a comment when you have questions or remarks. It is not imaginary that I have skipped a beat somewhere. As you will understand, a conditional navigation menu is only one deployment of conditional tags. When you have a look at the Conditional Tag Index and the Genesis Hooks, I am sure you will come up with your own applications. As mentioned in the introduction, you can install the Genesis Extender with every Genesis child theme, except for the Dynamik Website Builder. Hi Alex, basically it is the other way around. Catalyst and the Dynamik Website Builder (DWB) offer comparable functionality; to create turnkey websites – structure (page layouts) as well as design. Genesis child themes already incorporate a specific design (as defined in the style.css), and the Genesis Extender adds the ability to modify the structure – the page layouts – of these child themes without the need to manually customize the functions.php – without the need to code. So the DWB equals Catalyst. The Genesis Extender equals the DWB minus the design options. With DWB and Catalyst you can create new websites from scratch. With the Genesis Extender, you can modify the page layouts of existing Genesis child themes. Thanks Wil now I’m understanding. And I read another of your posts on the comparison. Thanks for this post! I’m having a little Dynamik problem and I’m wondering if you had any advice. I’m trying to get an image to appear on the homepage of a site I’m working on, and stretching across the page’s entire width. This works well when I include the image in the body tags, but then it appears on every page on the site instead of just the home page. Could I use a conditional for this? And how would a noob go about it? I have done this with one of my sites by adding a little CSS. You can add this code to the CSS box of the Dynamik Custom Options. Please note that you will have to replace ‘images/image.jpg’ the URL with the name and location of your own image. Is it possible to put a menu only in a widget? Not necessarily “conditioned” on a specific page, but within a widget that appears somewhere on a page? For example, I want to create a menu that appears when someone clicks an image. If I put the image in a widget, can I somehow also put a menu in a widget and have it appear on a click … or even better on a hover? Seems to me that the solution deployed for mobile menus could also be used to display a menu in a widget. The mobile menu appears when a visitor clicks on the menu icon. In your situation, the menu has to appear when the visitor clicks on an image. Let me know when you need help with this – a post about the mobile menus is already on my list. Thanks Wil. Let me research a bit on the mobile menus. More later! ..